This is the Rock & Roll Jam Poster. Designed by Howard Teman, and it measures 24" x 36". 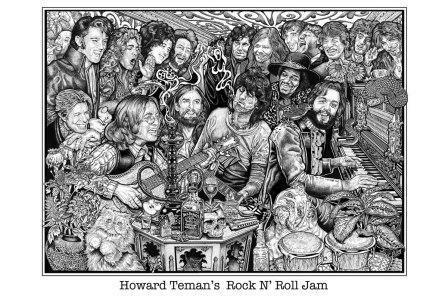 It features a whole lot of famous rock icons jamming together. How many faces can you name?